This Extender Kit includes all you need to get massive clamping capacity by utilizing the Bessey extenders. These extenders attach to the rails of your KRE Revo clamps, joining the two together to even more spread. 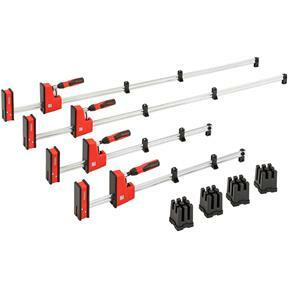 Includes two 24" KRE3524 clamps, two 50" KRE3550 clamps, and two extenders.